Books by author Jim Baugh: Order\Contact. Cover design by Jim Baugh. Sketch drawing, “My Daughter Jennifer” by, Captain Pete Develig. As per our publishing agreement, the publisher designs the jacket cover and also has rights to the name, meaning the publisher can change the name of the title for marketing reasons. In this case, they did not. I as the author was required to send in ideas that included pictures and if the publisher liked them, could use them at their discretion. I was very much looking forward to NOT producing the cover. 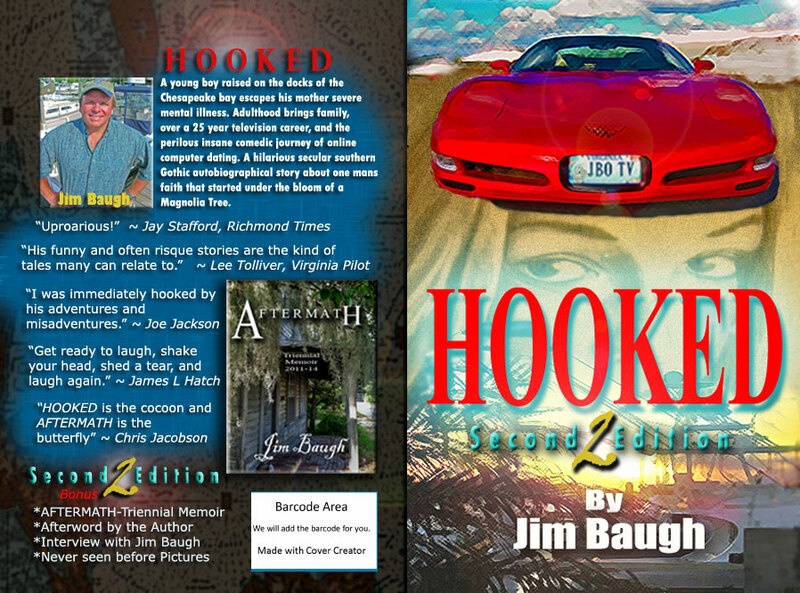 Although I have made my living as a producer and graphic artist, I fully wanted a second or third-party to produce the cover of HOOKED for many reasons. Well, after sending in maybe 10 or so pictures to the publisher, I started to get a little idea of doing a montage of three pics that would include the JBO TV Show Corvette, a pirate drawing and an offshore boat running out of Key West. This I thought would give them some direction as to where the cover should go. They were not all that interested in what I was sending, and I had not yet received a draft yet. I was just doing what I was supposed to do according to our agreement. I wanted the bottom image to be that of the windshield of a large offshore sport fisherman. This to me would just say it all, but I could not find anything that seemed to work. Someone suggested to use a marina shot and I thought she was nuts, however after looking at a friend of mines photo (Don Malkowsky) I thought it had prospects. 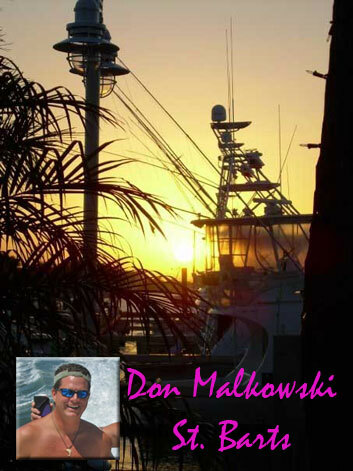 Don has traveled all over the world fishing and delivering yachts and is quite a good photographer. I played with the image in Photoshop and realized it was going to work just awesome. I kept working on this montage idea when all of the sudden I placed “My Daughter Jennifer” line art drawing by Captain Pirate Pete into the cover design elements. I was knocked out! It came together like magic. Instantly I thought I was on to something, so I worked up the cover and sent it to the publisher, before I spent anymore time on it. I said fine, then spent another two days polishing the design, and it was finished. Without any intention of producing the cover, that, is what ended up happening. The book cover has generated a ton of interest in the book HOOKED, and now I have gotten calls about producing other covers for authors. It sure is funny how things turn out sometimes. The Corvette on the cover was one of our two actual show Corvette’s that we entered in car shows including Carlyle PA. 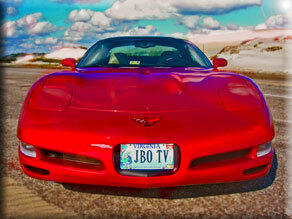 This was the same vette that is in the book that we cruised all over Miami and the Florida Keys. I took this pic on Pea Island Hatteras NC on a return trip from Key West. This backdrop was also seen in the film “Nights in Rodanthe” with Diane Lane and Richard Gere. 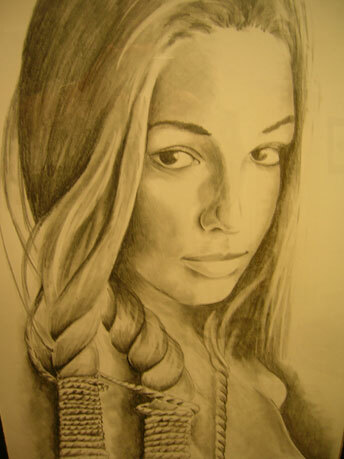 “My Daughter Jennifer” Charcoal drawing can be seen at various art shows today (pictured Below) and I was fortunate enough to have this incredible piece of art hang in my condo’s art gallery for well over a year. That, and my Wyland are among my favorite in my collection. 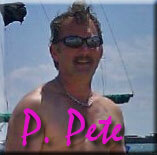 Artist Captain Pirate Pete still does nautical composite pirate charcoal drawings to this day. He is the best at what he does. The sequel to Hooked, “AFTERMATH” was written during our stay in Cedar Key for a period of close to four months. During this time a lot of production work was being done for Jim Baugh Outdoors TV and I also got married to my beautiful wife Donna during August as the sun set over the Gulf at the Low Key Hideaway. 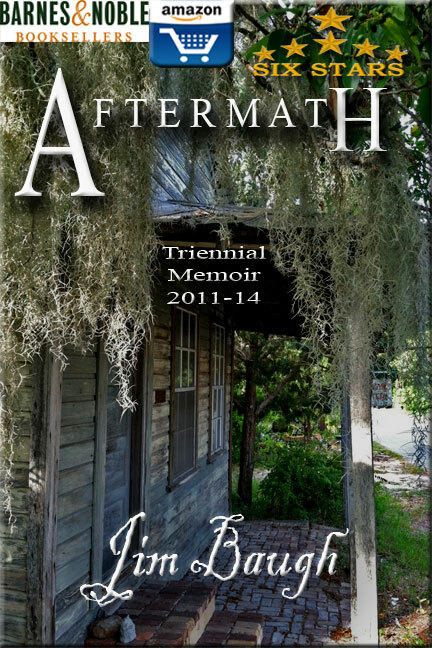 The book “AFTERMATH” has a chapter about Cedar Key Island and the picture of the old wooden house on the cover actually was literally across the street from the house we rented for the summer. There was a cat that hung out there that became our additional house guest for the summer we affectionately named “CC Emerson” and there is a memoriam in the book regarding this cat. The hanging moss that draped this old house was reminiscent of what the island meant to us. It was very inspirational to write about an island of which we were staying on for the summer. When I was taking a bunch of pictures of the island this one just stood out. Donna and I both loved the look of that old house and it fit the story, so it became the cover. Nothing fancy, but convey the message well of what the story is about. The response about the cover has been very positive and we appreciate all the comments. Visit Jim Baugh's Author Central at Amazon. Reviews, All books, All Formats, Order Info, etc.